If you just adore a penthouse view, you will love the beach elegance in the towers of Wild Dunes, Charleston’s Island Resort. 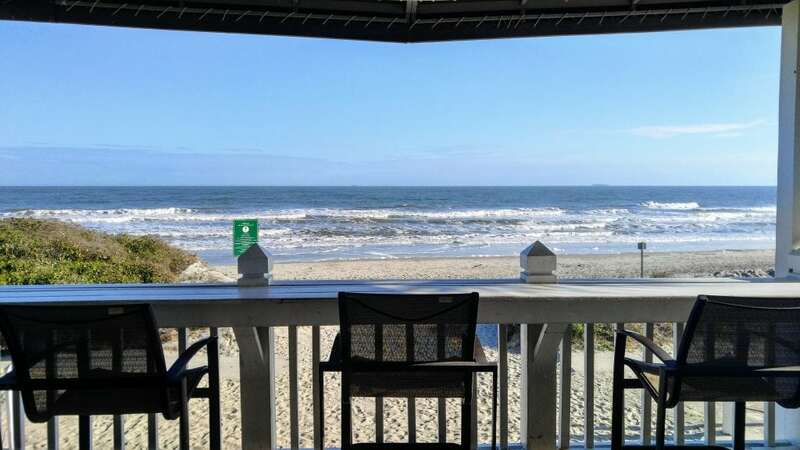 Lower level spacious rooms, balconied suites and ocean villas are enchanting as well in this Destination Hotel that stands tall in the charming low country of South Carolina. 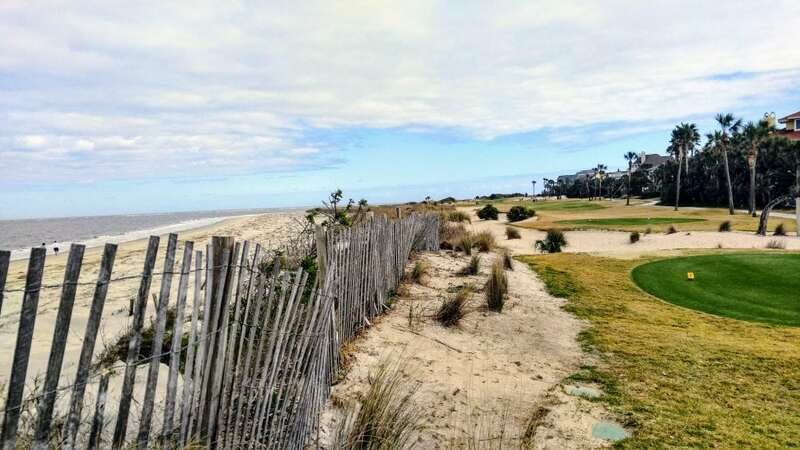 It takes a pastel Village Plaza, 17 tennis courts, trails, pools, 6 restaurants, unending beach, and Tom Fazio golf to make this an ideal vacation spot. 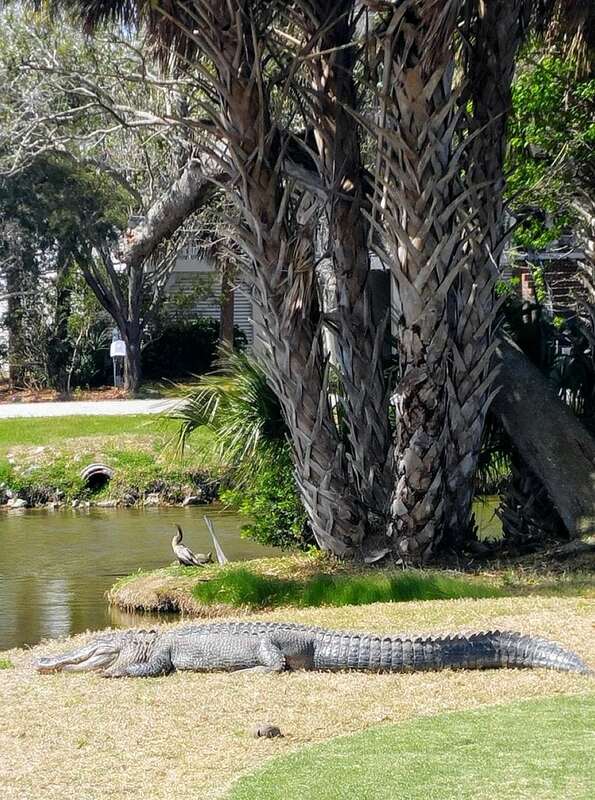 In addition to the Links course, Fazio finessed a crazy routing on the Harbor Course between homes, inter-coastal waterways, and gator lagoons. Disney’s jungle cruise comes to mind on the ride through the marsh. Both courses are esthetically enchanting from clubhouses to beach. At the Links Course Huey’s Southern Eats whose décor immortalizes the namesake goose serves as the 19th hole. The Dunes Deli by the Harbor Course serves food and brew next to the practice green and tennis court. 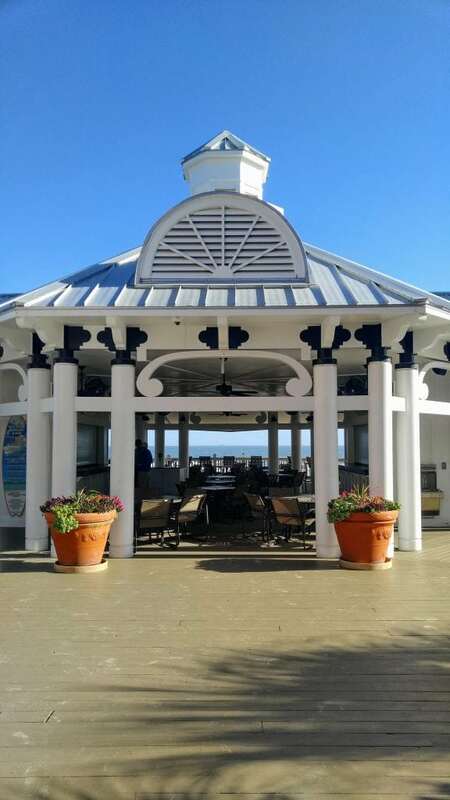 For a beachside toast, head to the Grand Pavilion Bar and Grill. Stroll or bike the beach, or surf the waves. Rent the beach bikes at the Islands Adventure Center in the Village Plaza of Wild Dunes. They schedule water excursions too. 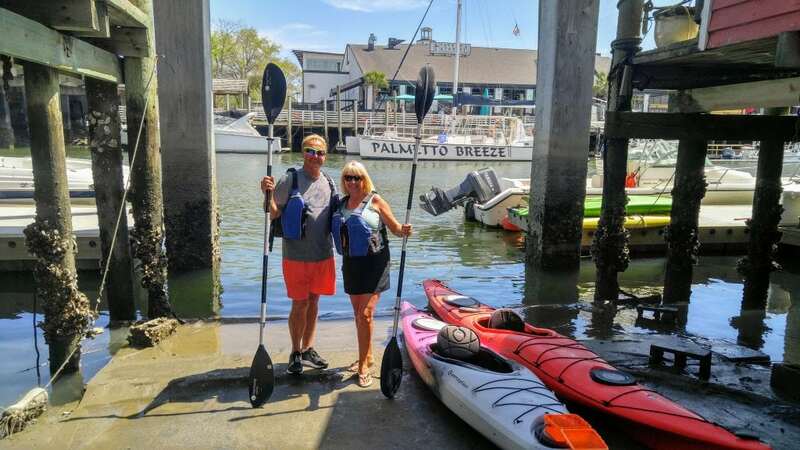 We went up Shem Creek with a paddle and ornithologist or self-proclaimed bird nerd, Eric with Nature Adventure Outfitters. Bottle nosed dolphins dove in and out of the water along restaurant row as we launched our kayaks, eye to eye with floating brown pelicans. 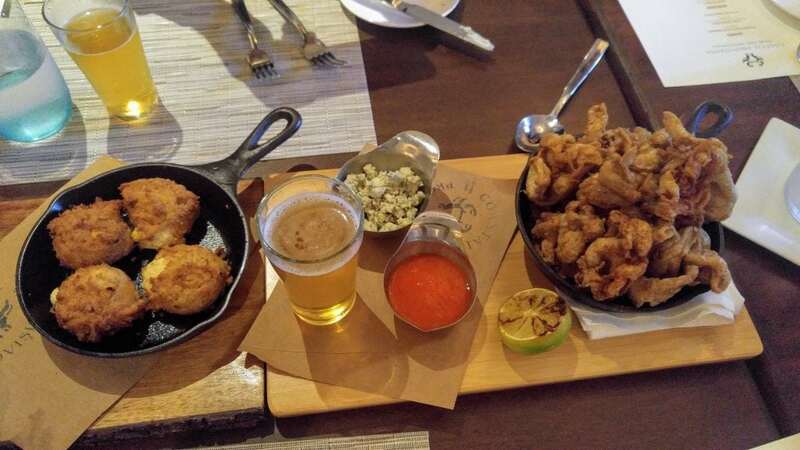 It’s a party vibe at Tavern and Table and other dockside restaurants serving bar hopping boaters and sports revelers with laughter and music blaring. As we maneuvered the busy waterway, Eric pointed out royal terns with black hoods and returning ospreys that mate for life. He explained the plight of sea lettuce eating manatees and sea turtles that have a rehab center in Charleston. 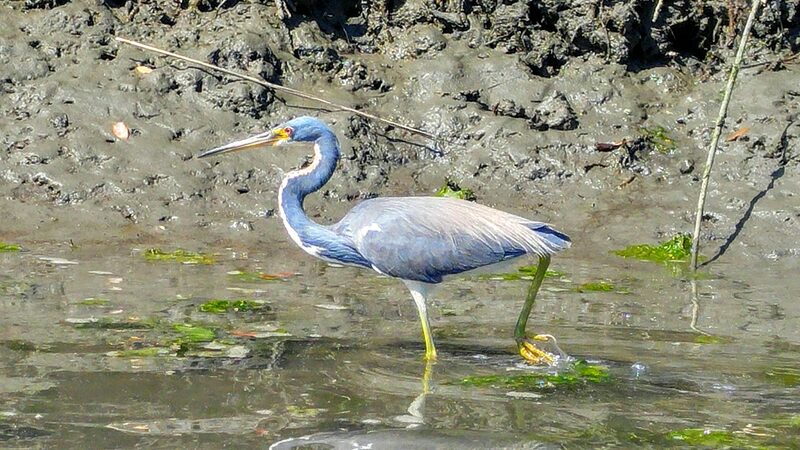 A freightliner’s waves had capsized kayaks the week before so we detoured away from one and turned into the serene Bay View Creek where double crested kingfishers swooped for their meal and a rare tri colored heron waded in the pluff mud. Pluff mud adult floats are on the menu of the newly renovated Coastal Provisions seafood and chophouse at Wild Dunes. Fortunately, the creek mud is not a component. Pluff Mud Porter from Holy City Brewing Company mixes with peanut butter ice cream. 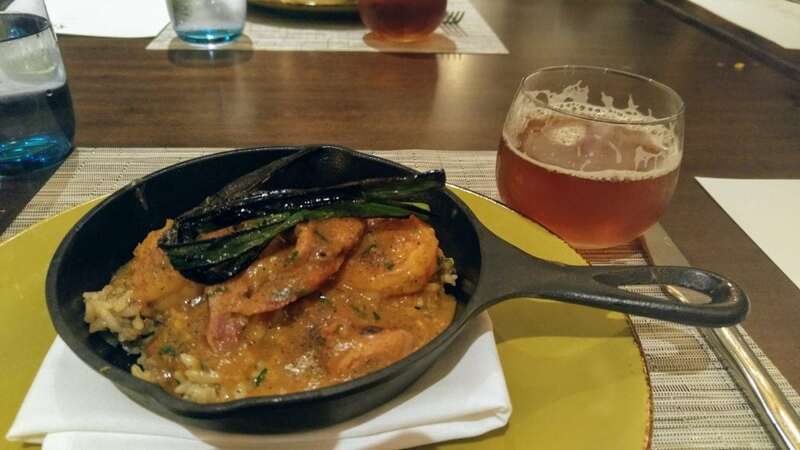 A brew pairing dinner at Coastal Provisions also highlighted Westbrook White Thai and prompted a visit to the Westbrook brewery. The Charleston area is the culinary capital of low country and that extends to the Isle of Palms in Wild Dunes. Off property but still on the Isle of Palms, Code del Pesce’s Owner and Executive Chef, Ken Vedrinski appreciates his customers, customers appreciate him and we really appreciated the fresh halibut and red snapper. Charleston is just 30 minutes from Wild Dunes and is one of the oldest and most strategic seaports in the country. When flying in or out of the airport, take time for a tour. Hop on a horse and carriage ride or hoof it along the cobblestone streets of Charleston as local artisans weave their traditional sweet grass baskets. Colonial mansions converted to museums, galleries, and inns, open for viewing, lead down to the water at Battery Park. Canons that protected the city from attacks during the Revolutionary and Civil wars still stand in memorial. Today sailboats float past the aircraft carrier with cruise ships and lots of yachts that pass back by Wild Dunes.